A business woman in a suit holds a sprout in a mini bucket and a watering can, a career growth, a new life. 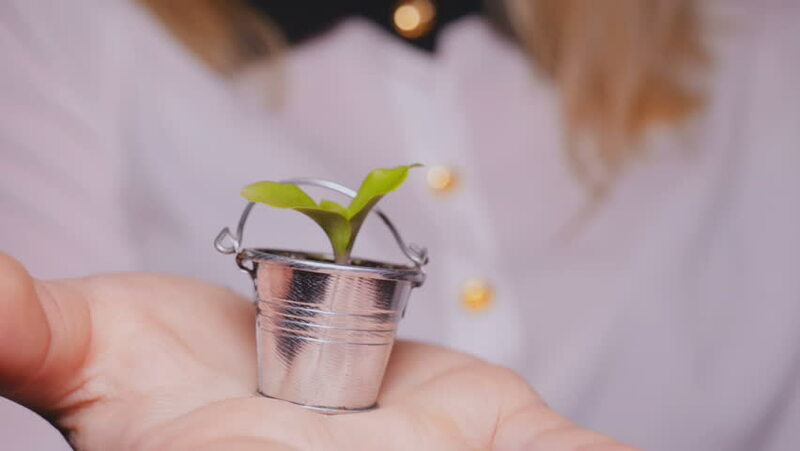 4k00:10Business woman in a suit holds a sprout in a mini bucket, a career growth, a new life. 4k00:08Business woman in a suit holds a sprout in a mini bucket, a career growth, a new life. 4k00:16Removing paper layer from spiral ornament close up 4K. Person holding a bone carved ornament and grinding away paper cover extreme close up. hd00:22Beauty clinic. A woman gets beauty facial cosmetology procedure. 4k00:23A girl, a female farmer (blonde, in a shirt) holds a basket of vegetables, radishes, salad, greens, cucumber, carrots, bio-flavored foods. 4k00:10A girl or a woman takes a photo of food, breakfast, coffee, donuts, strawberries, coffee. 4k00:08Girl, woman farmer holding a fresh carrot in her hand, smiling, blonde, vegetables. Concept: bio natural products, village. 4k00:13Laboratory work, a woman doctor holds a test tube, in a medical mask and glasses, takes an analysis from a test tube in blue rubber gloves, analysis, DNA, a test tube holder. 4k00:16Young couple in love (guy and girl) are sitting on the sand on the sea, sunset, darkness. 4k00:24Young couple in love (guy and girl) are sitting on the sand on the sea, sunset, darkness. 4k00:19Young couple in love (guy and girl) are sitting on the sand on the sea, sunset, darkness. 4k00:34Young couple in love (guy and girl) are sitting on the sand on the sea, sunset, darkness.